Where were my ancestors born? Back in 2013 the genealogical community celebrated Halloween with pedigree death charts. This is the kind of thing we do for fun. I played along here. 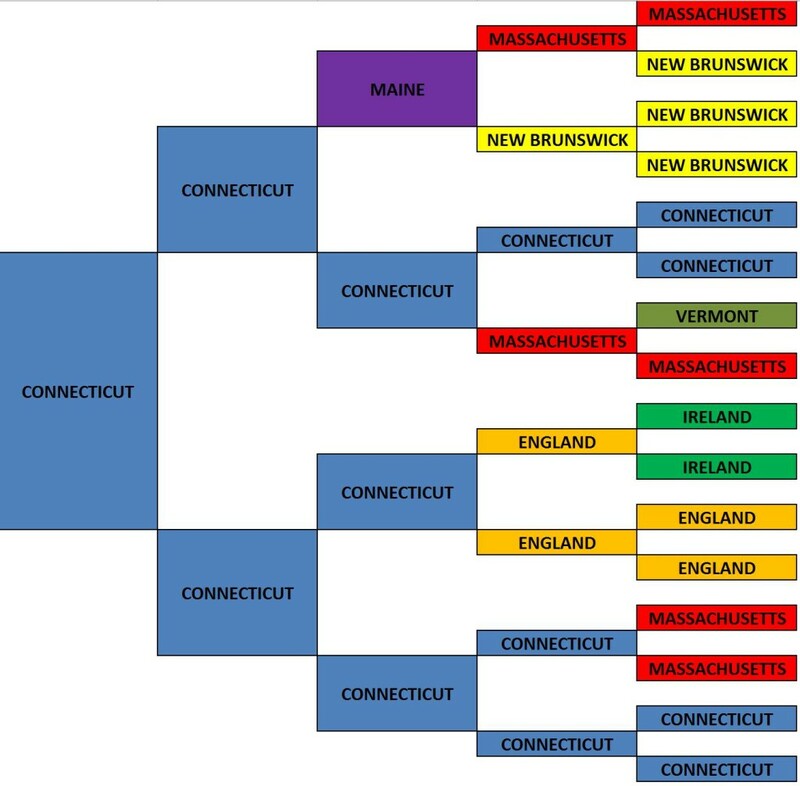 This week our friend J. Paul Hawthorne sparked a renewed interest in sharing of genealogical pedigrees, this time with places of birth color-coded that he has generously shared. You can change the locations and colors to fit your own tree. Mine pretty clearly points out that once in the United States, my family stayed in the northeast. I am lucky that my projects often lead me through records all over the country.